The Euphony is still available for free streaming or paid downloads (or even on a shiny seven inches of black vinyl) here. After a small delay we get to the next reissue of our back catalogue. 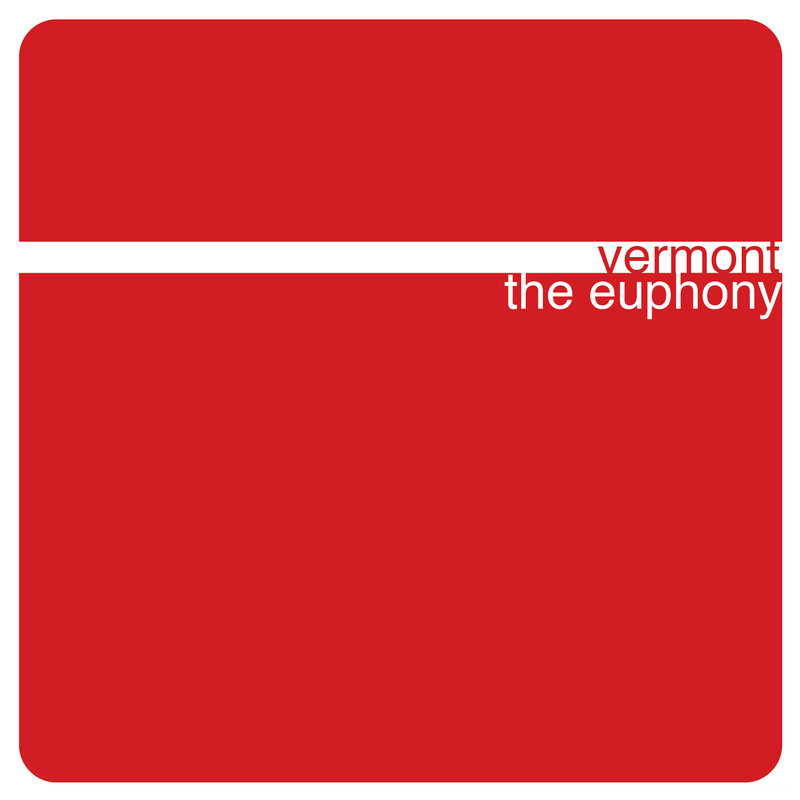 Vermont’s second single “The Euphony” was another collection of the best songs in their set at the time, but they had evidently taken a large step forward from their first single The Funicular. The sound quality was significantly improved, primarily through the switch of studios to the now sadly mothballed Sonic Bunker in Hackney but also due to letting guitarist Simon get his hands on the mixing desk and all members becoming much more adept and confident with their instruments. Due to the satisfaction of the band over the quality of the songs recorded, the decision was made to release the single not only on CDRs as previously, but also on a limited run of 7″ vinyl. We can now make available the last few copies of this run, alongside the new digital download of the single – have a look (and a listen) here. After getting Kaleidoscope and The Funicular out into the open air of the interweb we should be progressing at a more or less chronological pace from now on. So next up will be the second Vermont release: The Euphony. There’s still a few more loose ends to tidy but we should be ready to let slip the songs of yore on Monday 4th February. Keep your ears peeled. Now we get to the back catalogue of the band who formed Tbilissi Recordings in the first place: Vermont. Vermont’s line up crystallised in the first few weeks of January 2000, with guitarist Simon joining after answering an advert in the now defunct Melody Maker magazine. Two weeks after his first rehearsal they played a gig, and kept up a brisk pace for most of that year. In April the band decided to put something down on tape and decamped to La Rocka studios in Hornsey to record their three best tunes from their live set at the time. Without waiting for anything as bourgeois as a record deal they had 200 CDRs pressed up of the resulting recordings, printed some sleeves and started flogging them at gigs. A record label was born, and the band had something to prove that they weren’t just going to the pub when they were “rehearsing”. The Funicular picked up a fair amount of interest, and most importantly helped Vermont to get more prestigious gigs around London, but it was merely a taster for some of the more sophisticated audio delights that would be released in the years to come. A tweaked and remastered version of “Annabel” would find its way onto the Track And Field Organisation’s “Pow! To The People” compilation, and re-recorded versions of “Annabel” and “Last” would be on the first album “Ins Kino”, but there is a certain charm hearing a new band barely three months old attempt to bottle lightning with its first release. You can now listen to The Funicular for free here. If you want you can also buy a digital copy in whatever digital format you require – mp3, aac, wav, flac – for only £2.